Isaiah Riolo (second row, second from left) with his teammates in the Hungarian water polo club BVSC. 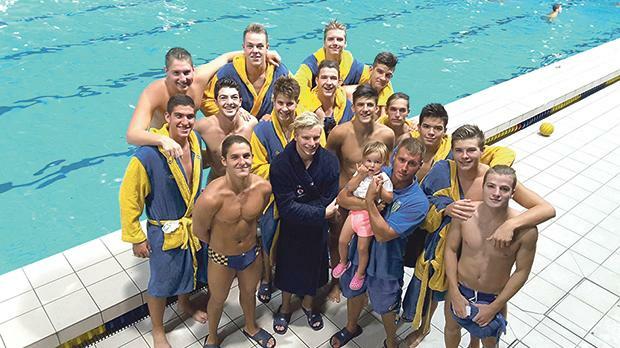 For the past two years Isaiah Riolo, who plays for local water polo club Sirens, has been living his dream – playing the sport professionally. After successfully obtaining quali­fications necessary to pursue university studies he chose to take a gap year from studying. Thanks to Tamás Märcz, the head coach of Hungary men's national water polo team and a former player with Sirens, Riolo was offered the opportunity to play water polo professionally for a year in Hungary. He trained for a season with the Hungarian club BVSC, following which he decided to follow a dual career path – studying architecture at BME university in Budapest while continuing to play water polo in the Hungarian championship with MAFC water polo club. Riolo is receiving financial support both from his parents as well as from the Malta Sports Scholarship scheme, which is partially sponsoring his studies.